24-Station Side Mount ATC, CAT-40 Taper Spindle, 12,000 RPM, In-Line Direct Drive Spindle, Super Speed VOP-SS,High Speed Tool Changer, Hand Wheel, 1400IPM, Floating Point Coprocessor, 16mb Expanded Memory,208/230 Volt, Brushless “A” Axis, Rigid Tapping, 20-Position Coolant Spigot, Coordinate Rotation and Scaling, Macros, M19 Spindle Orientation P &amp; R Codes, Chip Auger, 14” x 36” Table, Coolant. 1999 Mori Seiki SL-200/500 CNC Turning Center s/n 9993 w/ MSC-500 Controls, Tool Presetter, 12-Station Turret, 4000 RPM, 2.5” Thru Spindle Bore, Hydraulic Tailstock, 8” 3-JJaw Power Chuck, Coolant. 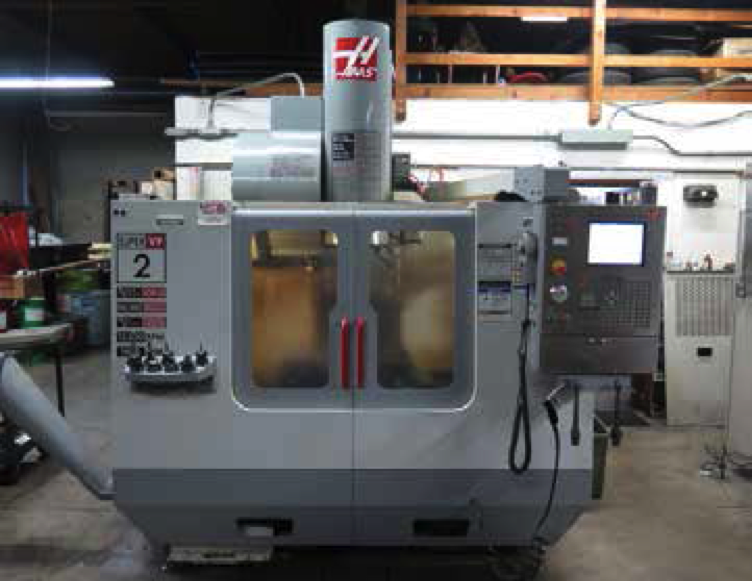 1994 Supermax LG-1845 18” x 45” Geared Head Gap Bed Lathe s/n R8305-008 w/ 25-1600 RPM,Inch/mm Threading, Tailstock, Steady Rest, Aloris Tool Post, 5C Collet Closer, 8” 3-Jaw Chuck. Victor 1640 16” x 40” Geared Head Lathe w/ 65-1800 RPM, Inch/mm Threading, Tailstock, 8” 3-JawChuck.Micro Lathe II mdl. 4500 Table Model Lathe w/ 7000 Max RPM, Tool Post, 3” 3-Jaw Chuck. Bridgeport Series 1 – 2Hp Vertical Mill s/n 236940 w/ 60-4200 Dial Change RPM, Chrome Ways, Power Feed, Trava-Dial, 9” x 42” Table.